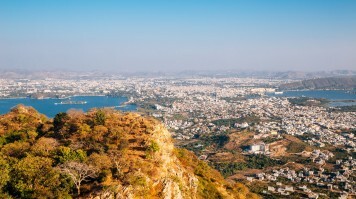 In the northern region of India in Rajasthan, within the Aravalli mountain range, you’ll find the city of Udaipur. 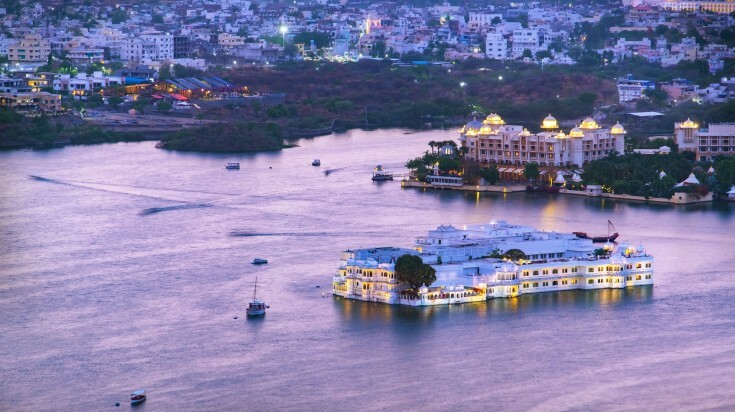 Often referred to as the “Venice of the East”, Udaipur is home to four big lakes that make up a large part of the city’s formation and structure. The city prides itself for its artisan hubs, performing arts and renowned palaces that can be found in its every corner. 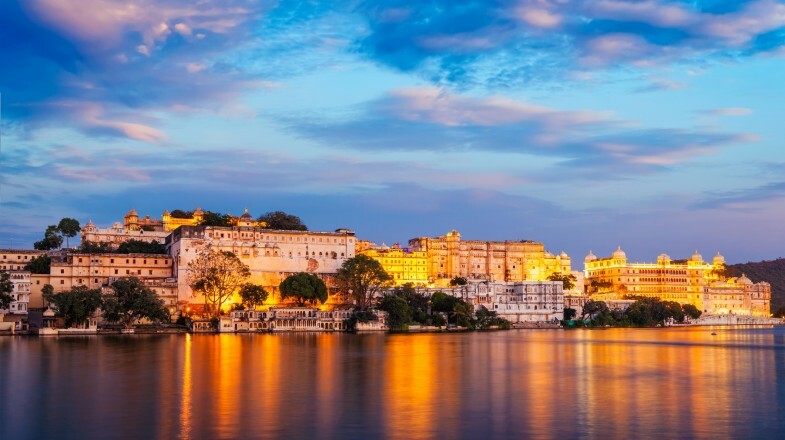 Founded by Maharana Udai Singh in 1559 as the capital of the Mewar Kingdom, Udaipur still has many cultural spots that reflect the region’s royal past. Here is a list of the 10 best things to do in the beautiful Rajasthani city. Located on the banks of Lake Pichola within the old city, the City Palace is an architectural marvel. Inspired by a distinctive blend of medieval, European and Chinese architecture, it is encompassed by stunning courtyards, pavilions, terraces, corridors, towers, domes, arches and hanging gardens. Built on granite and marble, the City Palace brings together eleven palaces from different rulers throughout history, extended and unified by various maharanas, into a unique artistic space that outlines the journey of the royal family throughout the years. From the crystal and porcelain statues of the Ruby Palace to the lavish decor of the Pearl Palace to the murals and wall paintings of the Palace of Joy — to walk through the City Palace is a spectacle in itself. Good to know: The palace is open 9:00 to 5:30 daily. You can enter through the Badi Pol (the Great Gate) from the north or the Sheetla Mata Gate from the south. Reflecting the Aravalli Hills, Lake Pichola is one of the oldest and largest artificial lakes in Udaipur. Built by the gypsy Pichhu Banjara in 1300, the lake was created by diverting water from the Kotra River with a dam originally used to help water grains. It would be years later that Maharana Udai Singh, captivated by the lake’s beauty, would build the city of Udaipur around it. 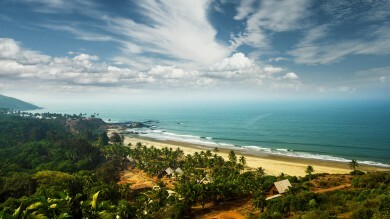 Upon arriving, you’ll find four islands sitting on the great body of water, each carrying its own charm. Each island has different royal mansions, palaces, sanctuaries and monuments that add to the history of Udaipur. Good to know: Boat tours are available to take you to all four islands. Catch a tour in time for the sunset and watch the sun glisten across the lake at dusk. Built with the intent to face the east and welcome dawn, the Lake Palace was created as a summer home for the royal family. 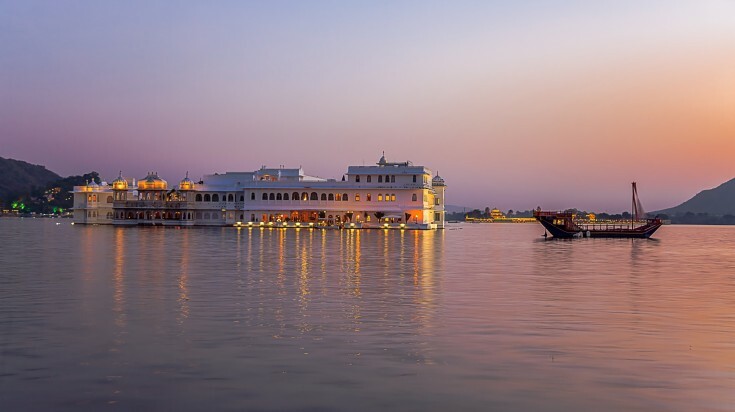 Sitting calmly on the surface of Lake Pichola with regal courtyards, terraces, fountains and gardens, the Lake Palace was made for romance and celebration. Through its doors, you’ll find a lily pond that covers most of the courtyard. Black and white marble line the courtyard walls and precious stones are etched into its interior. The Lake Palace now serves as a hotel, offering a taste of the luxury and royal treatment of the kingdom past. The rooms are lavish and grand, decorated with paintings, stone work and carved artifacts that will take you back to the palace’s royal days. Good to know: While exploring the palace is free, one has to be a guest at the hotel to get access to major attractions and activities. Hence, it is recommended to stay at the hotel to get the full experience, including the Palace’s Vintage and Classic Car Collection. Looking out in the middle of Lake Pichola is the Lake Garden Palace, famously known as Jag Mandir. The three-storied marble and yellow sandstone palace blends together Mughal and Rajputana architecture and served as a summer resort for parties hosted by the royal family. Welcoming its guests are four stone carved elephants that guard the entrance with cusped arches, the Aravalli Hills as its backdrop. Passing the jetty entry, you’ll enter the courtyard and lake garden filled with jasmine, frangipani trees, palm trees, verbena and moss rose with a marble fountain as its center. The palace flaunts octagonal towers topped with cupola with a maze of reception halls, rooms and courts inside showcasing the greatest architecture of the Mewar kingdom. Good to know: The only way to reach Jag Mandir is by boat. One leaves hourly from the City Palace, so time your visit accordingly. 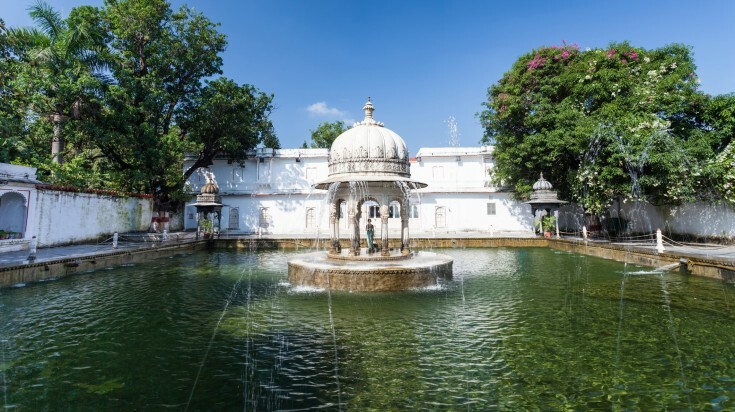 Situated on the edge of Lake Pichola in Gangaur Ghat, this 18th-century mansion houses 138 rooms surrounded by courtyards, corridors, balconies and terraces that give a peek into the Mewari-style architecture of that time. The Bagore Ki Haveli mansion is residence to a gallery featuring a collection of photos from the Udaipur period and monuments reflecting the Mewar empire. With rooms displaying craftsmanship superior for its time and symbols of the Rajput clan, the Bagore Ki Haveli gives you a deep look into the lifestyle of the royal family. Good to know: Make sure to allocate one to two hours at Bagore Ki Haveli to soak in all the history, architecture and stories the mansion has to offer. 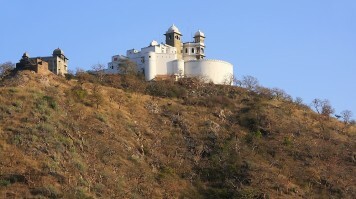 Perched on a hill is the Monsoon Palace, also known as Sajjan Garh Palace, offering a panoramic view of Udaipur. Originally built to be a nine-storey astronomical observatory to record monsoons and track the weather, it later became a hunting lodge and place to stay for the royal family. Designed within the style of Rajput architecture, the palace welcomes those who enter its doors of marble, towers and pillars with motifs of leaves and flowers. From the Monsoon Palace, you can watch the changing colors and hues of the many palaces in the city and valleys, with Lake Pichola as the stunning backdrop. Good to know: As you make your way towards the foot of the hill, make sure to catch the Sajjangarh Wildlife Sanctuary. Take a safari ride and explore the homes of the many exotic creatures and birds that live in the sanctuary. Encircled by mountains on each side, Fateh Sagar Lake is an artificial lake built in the 1680s that offers some of the most scenic views in all of Udaipur. Located to the north of Lake Pichola, Fateh Sagar Lake lies just before the entrance to Moti Magri Hill. The pear-shaped lake gives you stunning views of the Aravalli Hills and life among the three small islands that float on the lake. The largest island is home to Nehru Park, a popular picnic spot for travelers, with gardens, a boat-shaped restaurant and a small zoo. 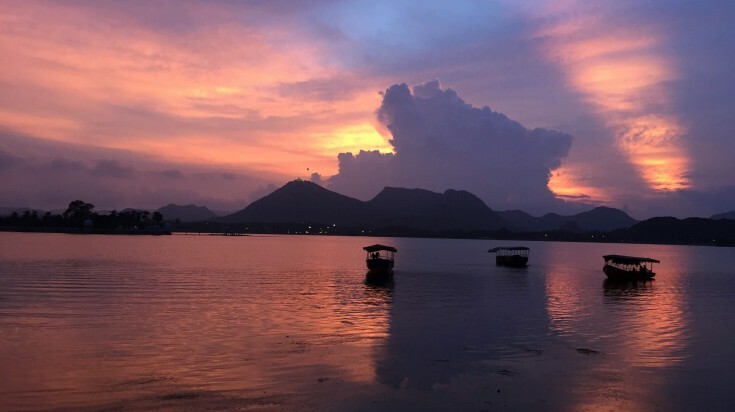 The second (unnamed) island hosts a sprawling park with a water-jet fountain, while the last island is home to the Udaipur Solar Observatory, the best solar observation site in Asia. Good to know: From the bottom of Moti Magri Hill, hire a pedal or motor boat and explore the lake at your own pace. As you walk on the banks of Fateh Sagar Lake, Saheliyon Ki Bari (also known as the Garden of Companions) is perched on the edge of the lush green hills. Built in the 18th-century for the Queen and her royal ladies, the garden boasts its beauty with its pristine green lawns, marble arts and rain fountains. The rain fountains were meant to create the illusion of rain dancing in rhythm with dancing maids. Take a stroll down the winding paths and encounter beautiful lotus-pad filled pools, flowerbeds, elephant-shaped fountains and bountiful bougainvillea flowers that fill the heart of the garden. Good to know: The best time to visit the garden is between September to March, when the weather is pleasant and the flowers are in full bloom. 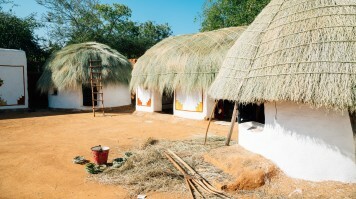 On the west of Fateh Sagar Lake in the dusty countryside, you’ll find Shilpgram, a crafts village with 26 traditional houses of the Rajasthan, Gujarat, Goa and Maharashtra eras. Shilpgram is a village filled with traditional interiors and craft exhibits, representing the architecture and heritage of the past. 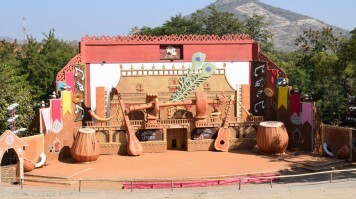 The village also has an open-air amphitheater and holds annual theatre festivals, folk performances and artisan showcases that demonstrate the culture of the region. Be sure to check out the schedule in advance of your visit to find out if you can take in a show. Good to know: Visit during the last 10 days of December to see a world-class fair. Hundreds of artisans and performers from all over India come to Shilpgram at this time to exhibit and perform. At the epicenter of Udaipur lies small Doodh Talai Lake. With lush green hills surrounding it, you’ll find a sense of quietness in the rich garden of Manikya Lal Verma that sits on Doodh Talai Lake. The renowned Karni Mata temple sits on the hill above the lake, overlooking all the beauty below it. You can take a ropeway up to the temple to visit the statue of Goddess Karni and capture the beautiful sunset and lake from above. Good to know: Next to Manikya Lal Verma is Pt. Deen Dayal Upadhyaya Park. Check out the “Musical Fountain” and stay for some of the best sunset views of Lake Pichola. 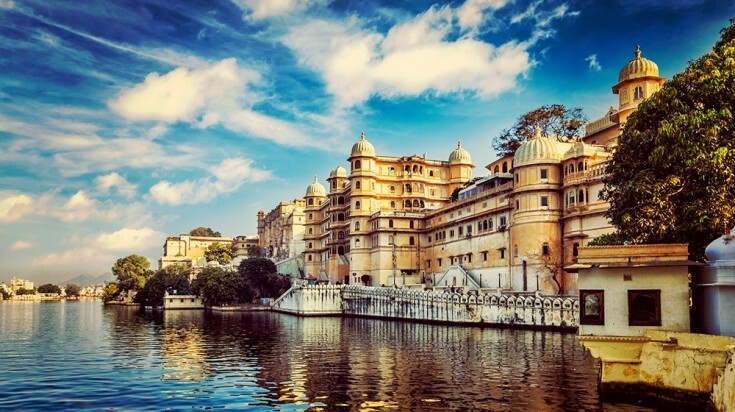 Udaipur is a city of romance — a city abundant in history and beauty, it is meant to be taken in slowly, so you can soak in every piece of what it has to offer. 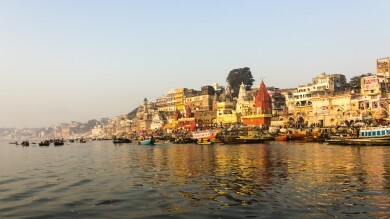 With floating palaces and a city submerged in deep royal culture and way of life, Udaipur is the city to be. So, what are you waiting for? The true city of love is waiting for you.